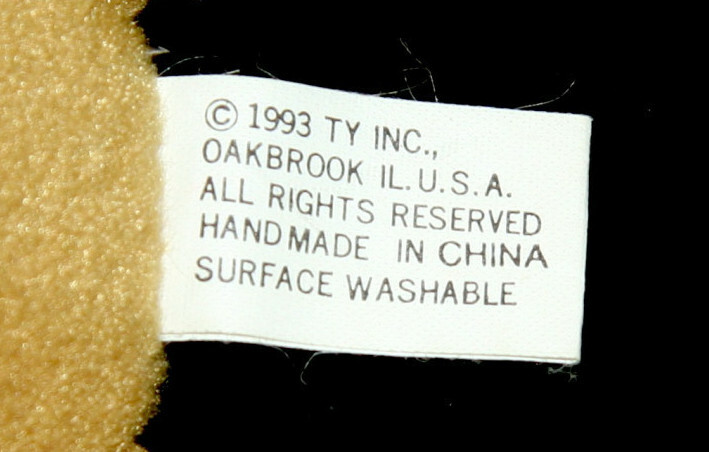 1st Generation Beanie Baby Tush Tags are really straight forward and simple. 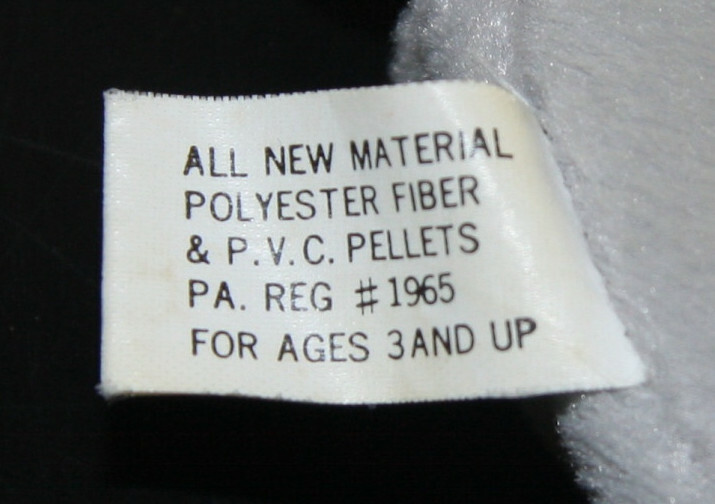 They are black lettering on white background sewn into the tush area of the Beanie Baby. 1st and 2nd Generation Beanie Babies will have a 1st Generation Tush Tag. 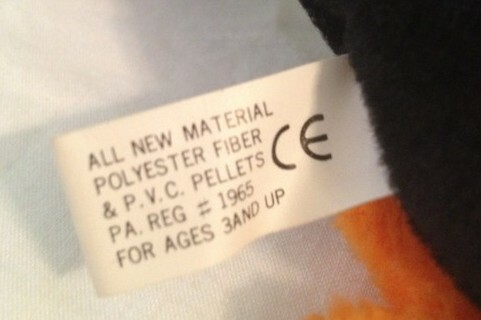 Some 3rd Generation Hang Tag Beanie Babies will have the 1st Generation Tush Tag. 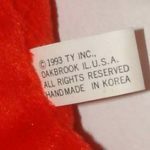 Generally speaking, Beanie Babies with a 1st Gen Tush Tag can be worth money, especially if they also have a 1st Generation Hang Tag. 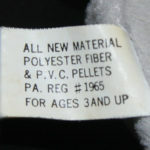 All 1st Generation Tush Tags will have the date 1993 or 1995 on them. 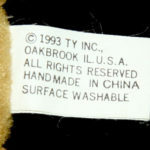 In the picture above you can see that it says the Beanie Baby was Handmade in China. 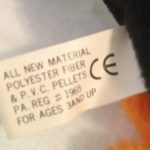 There are some variations to the 1st Generation Tush Tags, and those are explored more in depth below. 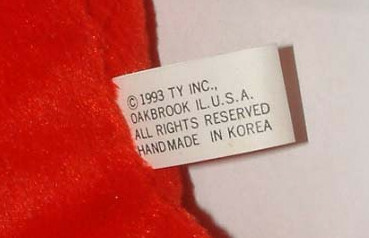 Generally speaking the “Hand Made in Korea” Tush Tag is considered more rare and can at times command extra value. You’ll also notice that some of the 1st Gen Tush Tags will have the letters ‘CE’ on one side. These are sometimes referred to as the U.K. tag as they had to put the CE lettering to conform with local laws. This 1993 Tush Tag is the very rare “4 Line” version. 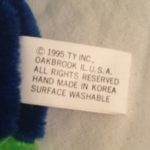 You can see that it has 4 Lines of text, and does not have the words ‘Surface Washable’ underneath the ‘Handmade in Korea’ line. 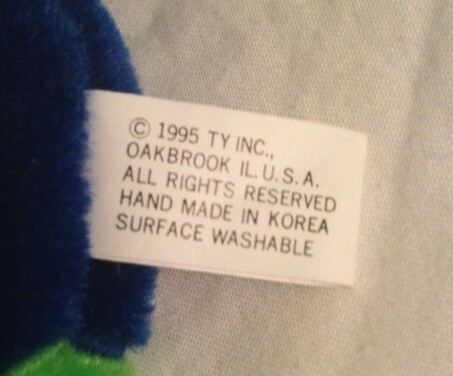 If you have a 1st Generation Beanie Baby with this 4 Line Tush Tag then you might have just hit the jackpot. A Punchers/Pinchers version sold on eBay for $1,800 in June 2013.